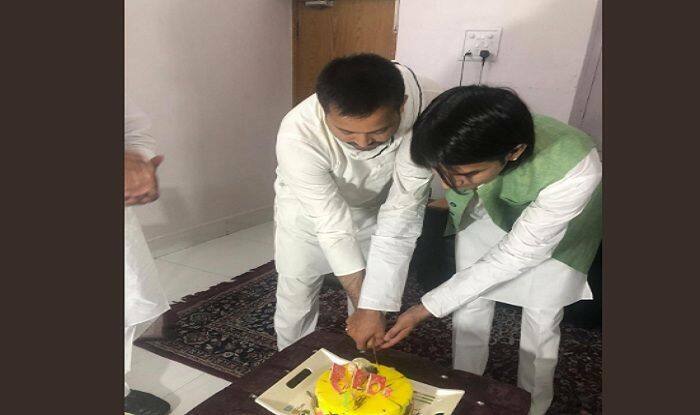 New Delhi: Rashtriya Janata Dal (RJD) leader and Bihar’s former deputy CM Tejashwi Yadav on Tuesday wished his elder brother Tej Pratap Yadav on his birthday, amid rift rumours between the two. Taking to micro-blogging site Twitter, Tejashwi referred his elder brother as Krishna. “Wishing a very happy Birthday to my “Krishna” elder brother, one of the sweetest person I’ve ever known.” Wishing abundant happiness, love and life!,” the RJD leader tweeted announcing their reconciliation today. Notably, Tej Pratap Yadav is living separately in Patna. He has not returned home since he visited his father Lalu Prasad in Ranchi last year, after filing a petition in court seeking divorce from his newly-wedded wife, family sources said. Tej Pratap Yadav got married in May last year to Aishwariya Rai, the daughter of a senior RJD leader. A few days ago, formr Bihar CM and Lalu Prasad’s wife Rabri Devi had told reporters that there is no truth in the reports of differences between her two sons Tej Pratap and Tejashwi.